So, I’ve been painting again and really enjoying it… I was commissioned by 2 different people to do a Spock portrait… here is the one I just finished. I’m currently working on one of Hank Williams Sr. – I will post pictures as soon as its done. If anyone is interested in a custom portrait let me know. I will also be making Giclée prints mounted to wood of my most popular images (which seems to be be Spock) and will be posting a link to my Etsy store soon for a place to buy my art. 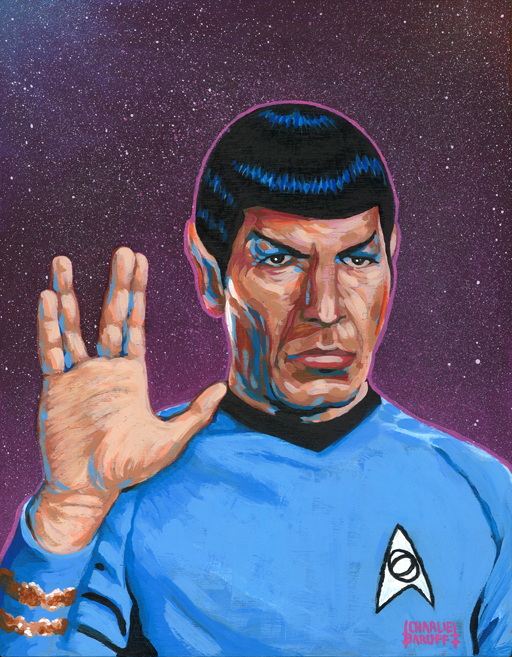 This entry was tagged Giclée, Painting, Spock. Bookmark the permalink.